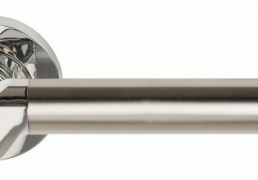 Lever on a concealed fix 2 part screw on round rose. 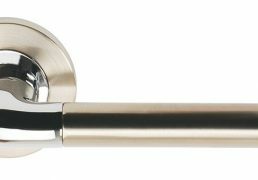 A straight round bar lever with a ringed feature towards the end of the handle. Part of the Serozzetta Zin lever designer collection. 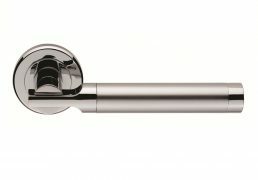 Lever on a concealed fix 2 part screw on round rose. 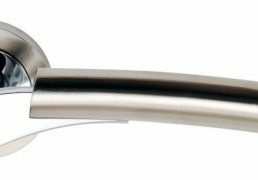 A stylish round bar lever with a dual finish. 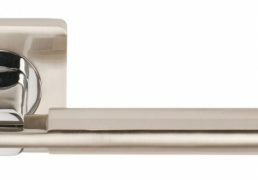 The chamfered edge concealed fix rose reflects the attention to detail in this range. 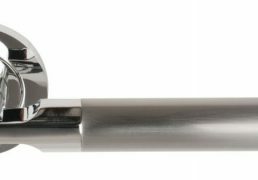 Lever on a concealed fix 2 part screw on round rose. A stunning eye catching design. 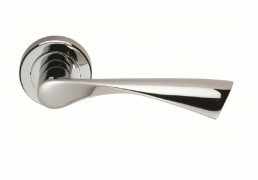 The lever has an angular downward twist making it ergonomic in use as well as being extremely stylish. 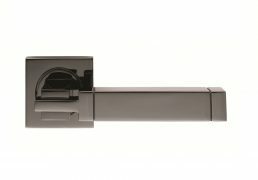 The chamfered edge concealed fix rose reflects the attention to detail in this range. Lever on square rose. The Serozzetta Cube lever on square rose is the perfect choice for attracting attention. 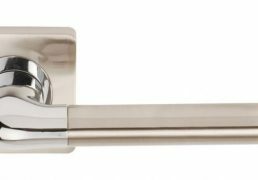 Stylish square lever on a square rose, featuring etched line detailing on the handle. Heavyweight feel. This robust design is best suited for the contemporary home or commercial property. The square rose is secured by a grub screw fixing. 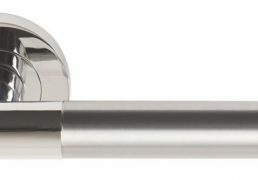 Lever on a concealed fix square rose. 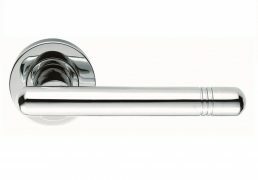 The flat and rectangular design of the lever allows for ergonomic use and is easy to grip. 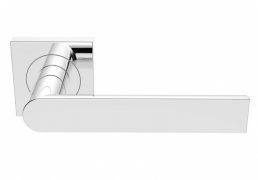 A heavy robust no nonsense lever design for a busy environment. The square rose is secured by a grub screw fixing.